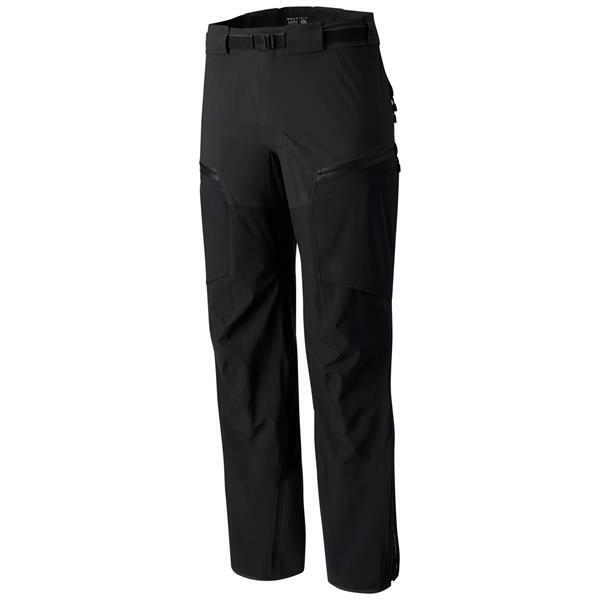 The Mountain Hardwear CloudSeeker Bib Ski Pant is a simple design with many useful features. Equipped with 3L Dry.Q Elite waterproofing is sure to keep you dry in any type of weather. Seam-sealed lightweight stretch without insulation adds comfort and ability to layer for any weather you will encounter. Equipped with two large zip thigh pockets, a chest pocket, and interior zip pockets give you ample room for your necessities. This vest pant combo is a great lightweight shell for every type of weather you may find yourself enjoying while on the mountain. Keep the snow out in a unique style in these men's bib ski pants. So far so good. Nice lightweight pant with good ventilation. Vest component was way too tight, but otherwise very happy with the purchase. I recommend these pants. I used to ONLY buy full side zip pants, but they are SUPER hard to find these days. Plus, very few, if any of them, are 3 layer/tough pants. Though these aren't technically full zip, they are darn close and do the job. They are not insulated so you'll need 1-2 under layers on cold days, but still great pants. I have worn skinning in back country, and on frontside. Only thing I would change is to add at least 1 front hand pocket. The two cargo-ish pockets are good, but too low to put hands in off the slopes. This has no effect on on-slope performance, would just be a nice to have feature. Why doesn't it look like a bib in the posted image? 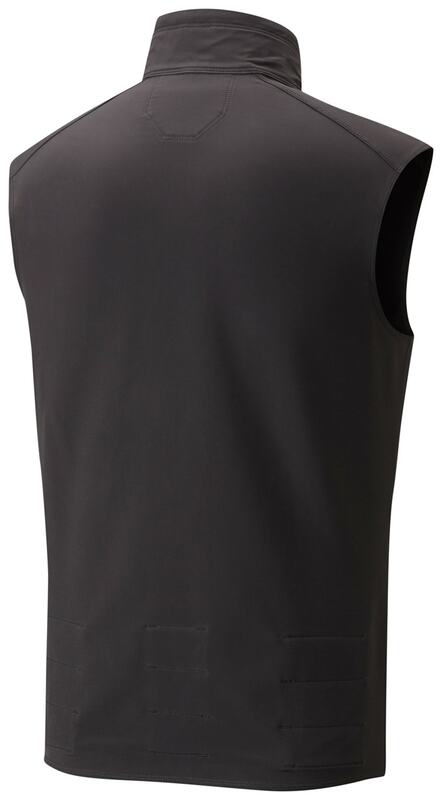 BEST ANSWER: It is kind of a 'hybrid' bib, that has a detachable vest that serves to keep the pants up when worn together (like a bib). I just used mine for the first time out in Whistler, BC and found it actually easier than my old Helly Hansen bib ever was. On warmer days, I would probably just leave the vest off or ditch another one of my layers in favor of the vest. I wouldn't really call it a bib. It comes with a thin vest that can be integrated into the pants via the belt. I wouldn't ever wear them integrated together (others may), so I just view it as getting a free vest with the pants. Regardless, I really like the pants - especially the near full length zips/vents on sides. The bib is a vest that attaches to the belt of the pants. They can be separated. Very fitting and completely water proof. It has a removable vest. You can wear the pants or the vest by itself. Not a traditional bib. 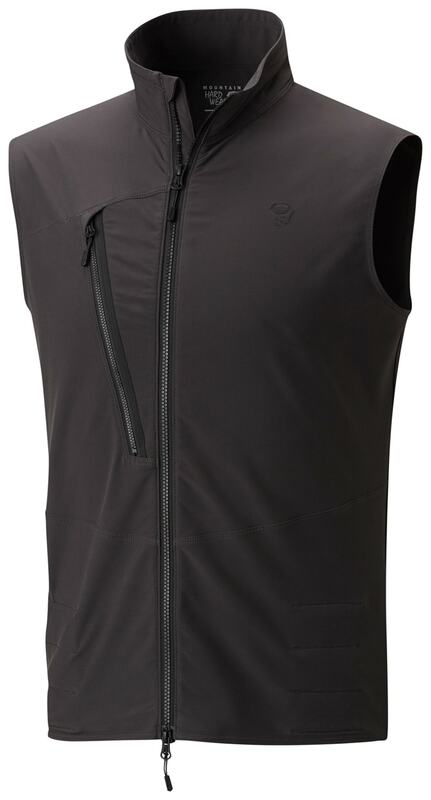 There is a detachable vest component. The pants and vest attach together - bib. do these have a pant / boot gaiter? BEST ANSWER: yes. they are good/useful too.